1. 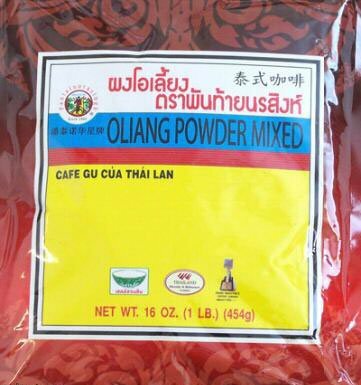 Boil water and mix with Oliang. Let steep for 2 minutes. 2. Drain the mixture through a cloth sieve into a medium container. 4. Pour into glass, add ice and evaporated milk. 5. Enjoy! Great for an after dinner drink.